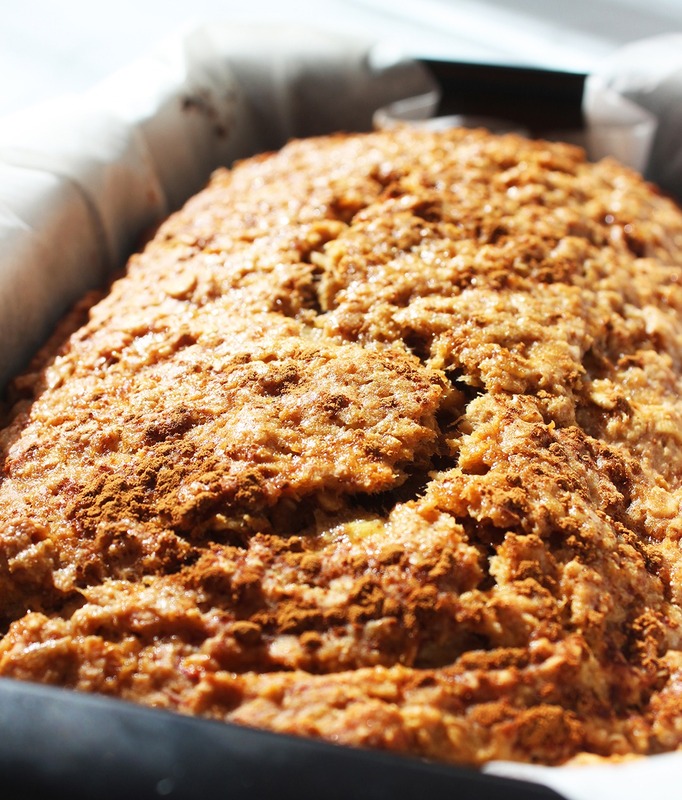 This Cinnamon Banana Bread recipe has become one of my favourites. 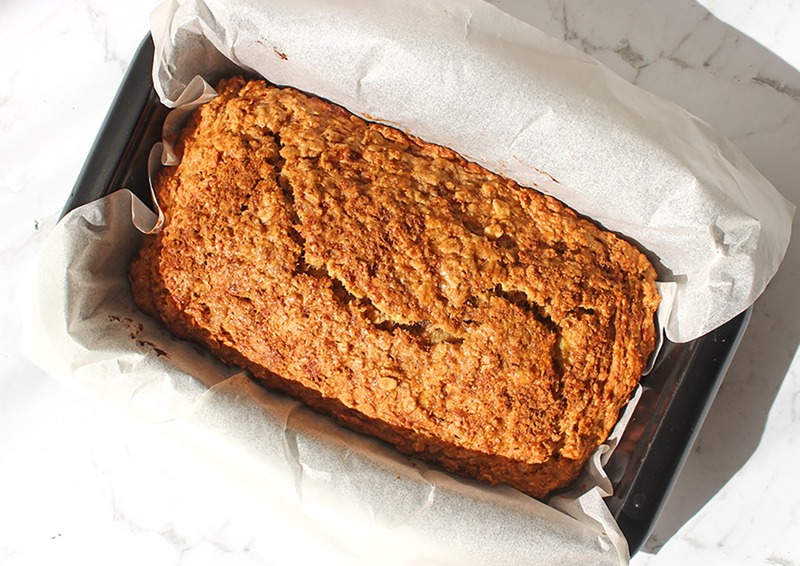 It’s a staple for me as I’m always accidentally letting my bananas get a little too brown resulting in a bananary baked good nearly every other weekend. Though I’m not complaining, I love using bananas in bread, muffins, smoothies and so forth! 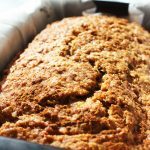 This particular recipe creates a banana bread that is soft and spongey with a golden cinnamon sugar crust. Using flax meal as the egg replacer means that it holds together very well and has some additional healthy fats thrown in. If you end up giving this recipe a try yourself, let me know by tagging us on Instagram @lemonthy.me. I’d love to read your comments and questions below as well. Have a lovely day! Preheat your oven to 180 C (355 F) and line a bread tin with baking paper. Using a fork, mash your 3 bananas in the bottom of a large mixing bowl. Prepare the flax egg by mixing 1 tablespoon of ground flax seeds with 2.5 tablespoons of warm water and letting sit for 3-5 minutes. Whisk in with the bananas the flax egg, vanilla extract, coconut oil, maple syrup, coconut sugar and brown sugar. Once well combined, whisk in the plant-based milk. In a separate bowl, combine the wholemeal flour, almond flour, oats, baking powder, cinnamon and salt. Carefully fold the dry ingredients into the wet ingredients. Pour your mixture into your bread tin and sprinkle with a small amount of brown sugar and cinnamon. Bake for approximately 40 minutes or until it’s lightly golden on top. *I like to use almond as my plant-based milk but feel free to use whatever type you prefer.